Overview: A global corporation in the pulp and paper industry, with operations in 54 countries, was using SAP Enterprise Resource Planning (ERP) software to manage many different aspects of their business. A necessary part of their operations involved demonstrating compliance with environmental regulations, such as ISO/IEC 17025, involving water quality. To document compliance, they utilized the QM (Quality Management) module of the SAP software in their in-house laboratories. The companies’ laboratory workflows involved performing extensive calculations on Excel spreadsheets, and then entering the results into the SAP-QM system manually. In order to allow for greater efficiency and optimization in their laboratory processes and more sustainable growth for the company, the company made the decision to implement a LabWare LIMS. The initial plan was to implement and integrate LabWare across 3 different laboratories in South America. If this initial project was a success, the company intended to expand the LabWare implementation into all its laboratories across the globe. Their laboratory operations were effectively maxed out in terms of the number of samples that they could process, and this made future company growth and expansion problematic. Business Challenge: The main issue that the company was facing was a bottleneck in their laboratory operations caused by manual processes. Their laboratory operations were effectively maxed out in terms of the number of samples that they could process, and this made future company growth and expansion problematic. 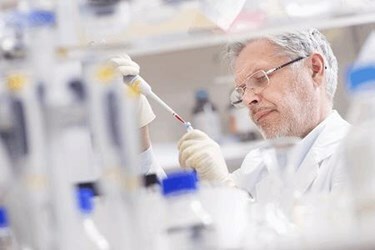 LabWare needed to be able to communicate with the SAP-QM system, without the need for any customizations on the SAP side. The LabWare system needed to be able to perform all calculations involved with the ISO 17025 certification, replacing over 100MB of Excel spreadsheets containing constants and calculations, with complete accuracy. These calculations included an uncertainty calculation on the levels of various organic and inorganic compounds found in water samples that was extremely complex. The LabWare system needed to be integrated with several RS232 protocol instruments, and over a dozen other complex instruments. LabWare needed to be able to communicate with a legacy database containing all R&D data on forests used by the company worldwide to receive some header information for labeling and to return results. No changes in the legacy system could be performed. Mediated meetings between all end users to develop the requirements for the implementation. Managed all aspects of the project to assure it was delivered in time and on budget. Using SAP QM-IDI and the LabWare native interface with SAP, communication between LabWare and SAP was facilitated that allowed for the creation of Inspection Lots, Specifications, Components and Analysis as needed. No customization of SAP or assistance of an SAP-QM specialist was necessary. Configured LabWare to perform all required calculations and actions to meet the business needs, including the uncertainty calculation. Given the tight budget for the project, it was determined that all the instrument integration with LabWare would need to be accomplished by company employees. The Astrix team conducted a number of workshops to educate key users on how to integrate instruments with the LabWare system. Additionally, the Astrix team conducted workshops on the ELN functionality available in LabWare to train members of the companies’ R&D team on its use. Company employees successfully integrated a large number of RS232 instruments (such as scales) and complex instruments (such as HPLC). The LabWare interface with SAP delivered a faster and more reliable data flow between the Laboratory and Quality Control. The calculations performed by the LabWare system allowed users to finish the sample lifecycle faster, and also dramatically increased the number of samples analyzed by the Laboratories. LabWare audit and traceability features allowed the company to effectively document compliance with governmental regulations and with ISO-17025.